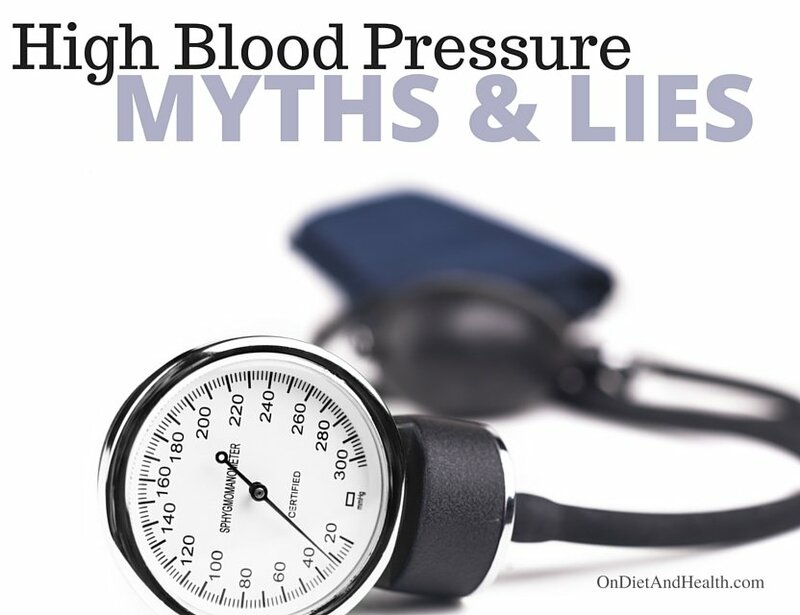 Do you know these high blood pressure myths and lies? Not knowing can lead to a lifetime of medication never resulting in a “cure”. Medications may address only the symptom and not the cause of high blood pressure. Listen to this Primal Diet – Modern Health podcast for more info than is written here…. Hypertension is serious and can absolutely cause chronic illness or death. Getting it properly diagnosed – and treating the true cause(s) – should be your aim. Blood pressure is “the pressure exerted by blood on inner walls of the arteries, relative to the elasticity and diameter of the vessels and the force of the heartbeat” as the British Dictionary defines it. 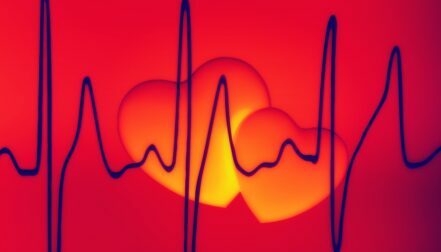 The top number of your pressure is Systolic – when the heart contracts to expel blood. The smaller, lower number is Diastolic and is the resting pressure between contractions. Prior to 1970, normal BP was 170/98. For the last several decades it has been 140/80. Proposals now exist to lower this to 120/80. 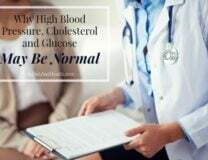 The beneficiary of these new normals may primarily be the Pharmaceutical industry although many studies do point to “high” blood pressure as the cause of strokes, heart damage and more. There may well be correlation between chronically elevated blood pressure and many causes of death, but the actual pressure may not be the issue at all! Which comes first? Damage to the arteries or high blood pressure? Here’s the key…. According to most complementary medicine doctors, stiff thickened arteries cause high blood pressure, not the other way around. If your arteries are stiff and coated with calcium because of a lack of Vitamin K2 (not K1), the heart has to pump harder to circulate your blood. The way to reverse these calcium deposits is through proper use of Vitamins D, K2 and A. (See a few of my articles and podcasts on the importance of K2 here, here and here). Myth: Salt is to blame… Partly true/partly false. If you overconsume white salt in fast or processed food, your body has to dilute the salt by adding more water to your blood. Moving greater volumes of watery blood makes the heart pump harder. 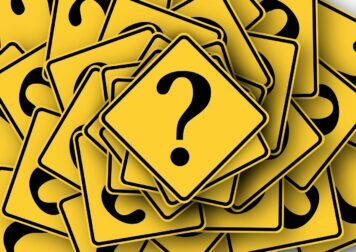 Diuretics that force the kidneys to excrete fluid are not the answer. Nor is telling patients never to eat salt again. Instead, stop eating fast food and MSG and start using real Himalayan salt. The body will handle the fluid volume by itself unless you have kidney disease. Myth: Hypertension causes hardened arteries…. Nope, it’s the other way around. It’s Vitamins D and K2’s job to place calcium where it should go (bones, teeth, nerves), not where it shouldn’t go (joints, arteries, breast calcification). If calcium lines your arteries they get smaller in diameter and less elastic. K2 and D should be taken together and taken forever. (Yes, I said forever!). Here’s my top clinic product selling D and K2 together…. Or, add this potent K2 to your daily vitamin regime. Lie: Sugars such as fructose have nothing to do with it…. Wrong! Studies suggest fructose and other sugars cause pressure variability, rapid heart rate, Insulin Resistance and weight gain. Switching to a Paleo Diet (watch my Diet For Human Beings DVD) or other diet low in processed food, sugars and grains can fix these issues. Metabolic Syndrome is underneath most cases of hypertension. Lie: Magnesium won’t help… Starches and sugars cause elevated Insulin and eventually Insulin Resistance. Insulin stores Magnesium, but if you’ve become Insulin Resistant you cannot hold Magnesium, a mineral well-known to relax arteries and muscles. You can take supplemental magnesium but the real answer is to get your Insulin under control with a grain free sugar-free diet. Myth: Only drugs can relax blood vessels…. Most classes of blood pressure meds are meant to stop artery walls from tensing up. 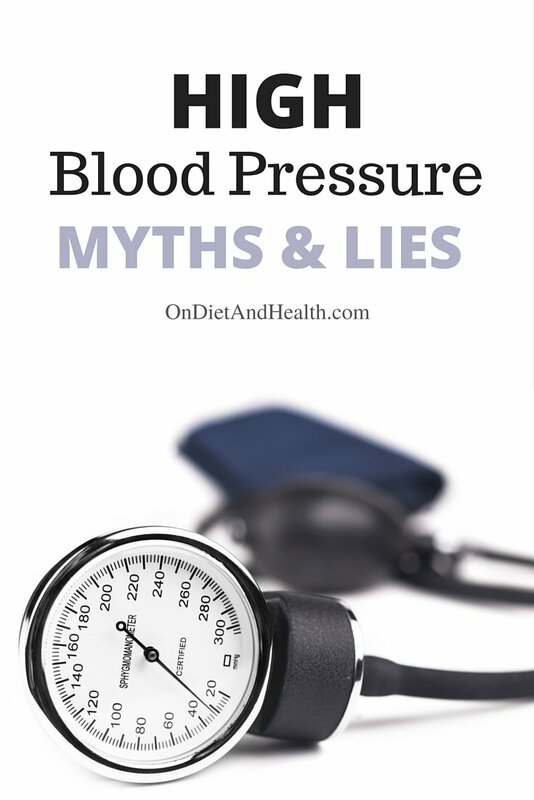 See #4 for the alternative to these high blood pressure myths. Myth: Cholesterol causes plaquing of the arteries… The truth is that Trans Fats (hydrogenated vegetable oils) have been shown to cause hardening of the arteries. There are many studies implicating cholesterol, but the Cholesterol Myth has been refuted for years. 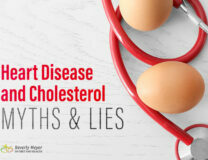 Listen to my podcast with Denise Minger to learn more about cholesterol lies. Myth: Your numbers are too high…. Blood pressure naturally rises when we are stressed, in motion, tense or angry. The correct way to take your blood pressure is to sit without talking for 3 to 5 minutes, apply the correctly sized cuff to your arm, hold your arm across heart level and keep your body limp like a Raggedy Anne doll. Racing to your appointment, fuming over wait time and chatting with the nurse guarantee an elevated reading and a prescription for the rest of your life. Lie: Uric Acid is irrelevant… Fructose from sugar, agave, corn syrup, sodas and many juices or fruits breaks down into uric acid. Uric acid inhibits Nitric Oxide in blood vessels. Nitric Oxide helps blood vessels remain elastic. High fructose is directly linked to hypertension for this reason as well as for causing Insulin Resistance. TRUTH: Stress makes it all worse as we automatically increase cholesterol, cortisol, glucose and blood pressure in response to fear or threat. More on that here. NEVER stop medications suddenly. Clean up your diet, drink more water, exercise and manage stress first. Talk to your doctor about withdrawing over a 4 month period or going to half dose. Ask your doctor to order a fasting Insulin lab test and monitor it every 6 months. Is it going dow n? Handle your obesity. 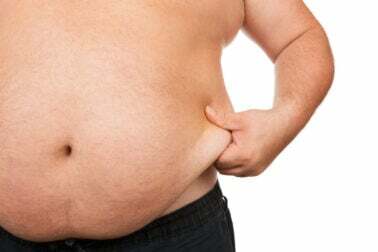 Metabolic Syndrome causes every issue here. Insist your blood pressure be taken accurately at the doctor’s office. See #7 above. Check it at home daily and keep a record to show your doctor. Take Vitamins D and K2 together. Both are known to improve arterial elasticity. Test your D annually. Take high quality Vitamin E daily. E is our natural blood thinner – not aspirin. Swap carbs for Fat. Eat more coconut oil, ghee, avocado and olive oil. Eat less bread, grain, sugar and alcohol. Coffee can raise blood pressure and heart rate. Cut back or stop. Take Passion Flower and other herbs to calm mind and body. Exercise to release stress and high cortisol and reduce insulin. Stress kills – that is Truth! Take a supplement high in DHA. It’s more helpful than high EPA. And eat plenty of fish! Our raw Rosita Cod Liver Oil (in caps or liquid) has more DHA than EPA. Other processed brands do not. You CAN overcome high blood pressure. I have many clients who affirm this. As always, FOOD FIRST is my motto. Listen to my podcasts for more on Food First! 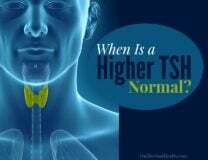 When Is High TSH Normal?